Although the collision happened nine billion years ago the ripples only made it to Earth last year, and it wasn’t discovered until this year. The discovery is the latest success, and one of the biggest, for the Advanced Laser Interferometer Gravitational-Wave Observatory (LIGO). 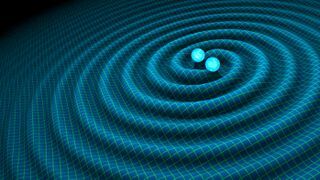 The team detected the collision’s gravitational waves passed through Earth on July 29, 2017, followed by three other small black hole mergers in August, 2017, by re-analysing data previously captured by Advanced LIGO. Australian team’s Professor Susan Scott says she has spent most of her career hoping to detect gravitational waves and technology advancements were finally giving scientists answers. “We can’t see these events any other way except through gravitational waves, as they don’t emit light or radio waves … because they’re black holes,” she said.